This undated file photo shows a coffee with a plastic stirrer in an economy seat aboard American Airlines. 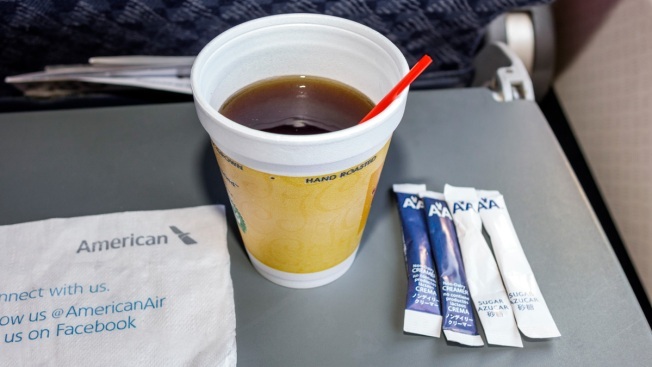 American Airlines says it will stop using plastic straws and drink stirs and replace them with biodegradable alternatives. American said Tuesday that starting this month in its airport lounges it will serve drinks with straw and wood stir sticks and begin moving to what it called eco-friendly flatware. The world's biggest airline says that in November on board planes it will replace plastic stir sticks with ones made from bamboo. The airline says the moves will eliminate more than 71,000 pounds of plastic a year. Some cities have banned plastic straws because they are often not recycled and wind up as trash in landfills and oceans. The company will be replacing the straws with a strawless lid. NBC 7's Artie Ojeda reprts from a Starbucks in Chula Vista. 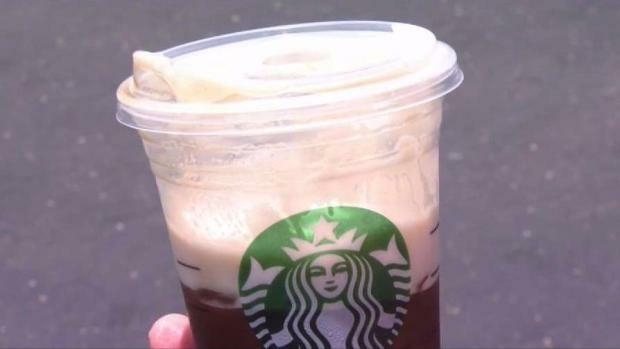 Starbucks and other food companies have recently announced they will phase out plastic straws and polystyrene foam cups from its stores by 2020.